Did you give Owner Financing when you sold your home? Would you sooner have cash than keep that owner financing? Most of the people advertising to buy your seller financed mortgage note are note brokers. A note broker is not going to invest their own money to buy your mortgage in the same way that a real estate broker is not going to use their cash to buy your house. Note Brokers, just like Real Estate Brokers and Mortgage Brokers, earn a fee for bringing buyers and sellers together. BUT, unlike Real Estate Brokers and Mortgage Brokers the fee is not a fixed percentage. You send note brokers all the details of the note, a copy of the mortgage, the note and other documents too. They then will submit this information to private or institutional mortgage investors. They get the best offer and then they calculate how much to offer you. The DIFFERENCE between what your note is worth and what you will accept is how their fee is calculated. This is how they can afford to pay for that costly Internet and TV advertising. Does this mean you should only offer your note for sale to actual note investors? NO! A note broker does a valuable job and is entitled to be paid for their services. They can often offer you a higher price even after being paid a fee. Just like a Real Estate Broker can often get you a higher price for your home. But how do you make sure that you are getting the best price and not leaving too much on the table? Hungry note buyers will compete when you advertise your mortgage with us. 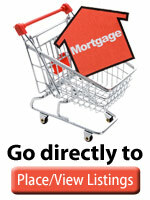 Sell your mortgage for cash rather than receiving monthly payments. You can sell all of your mortgage or you can sell part of your mortgage. For example, you may need just $10,000 now to pay off some credit cards. But your mortgage may have $50,000 principal still owing. You can sell just part of your mortgage to give you the cash you need. After the buyer has received the payments they bought, the mortgage reverts to you and you receive the rest of the mortgage payments.